If God is all-loving and also all-powerful, why doesn’t He do something about all the troubles in the world and in my own life? This has been one of the most troubling questions throughout the ages for theologians, philosophers, and just about everyone else. Sunday we begin Holy Week, the week that Jesus Christ died on the cross for the forgiveness of our sins. And what we see there, in that story, is God ‘doing something.’ We do wonder how God is active in our world. In this story we see God, in Jesus, doing his most important work in all of history; and we may remain unmoved by it. In our limited vision, we might be disappointed. We want a God who will do what we want him to do: make me well, improve the economy, bring peace into the world and into my own personal life, keep me healthy, make my business succeed, get my loved one to quit drinking, help me get that job, etc. That’s what we want. But in the Gospels it seems as if all God wants to do is come to earth and die on the cross to save me from my sins. “That’s maybe nice,” someone will say, “but it is not what I need right now.” You may not put it just that way, but that kind of attitude is behind a lot of our questions about what God is doing and not doing in our world. Yet, the Bible focuses our attention on this Holy Week when God did act in His most important way. The Bible tells us that in this coming of Jesus, and in his life and death and resurrection, is the answer to our every question, and the place where all our needs are met, now, or in eternity. In Christ Jesus our Savior, says the Bible, is everything we are looking for, whether we know it yet or not. Our problem is not that God has failed to act; it is that God does not do what I want him to do. Faith, however, believes that what God has done in Christ is, in the long run, what will matter the most. Former South Dakota Senator George McGovern was a World War II pilot. He flew a B-24 on thirty-five bombing missions over Germany. 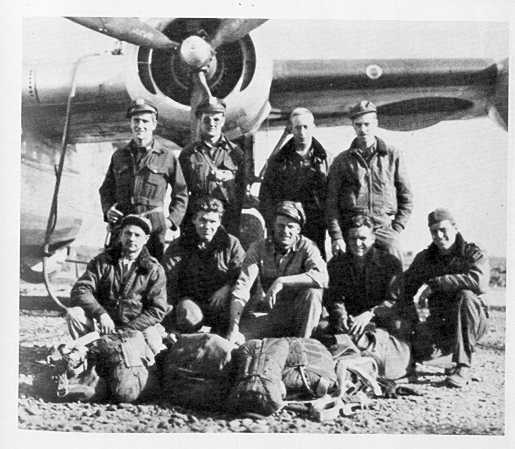 There were few jobs in the war that were more dangerous than being on the crew of these flights. Even if they were not shot down by enemy fighter planes or anti-aircraft fire from the ground, as so many were, they had to deal with frequent mechanical problems. Psalm 13:1 — How long, Lord? Will you forget me forever? How long will you hide your face from me? II Corinthians 5:19 — God was in Christ, reconciling the world to himself, not counting people’s sins against them.